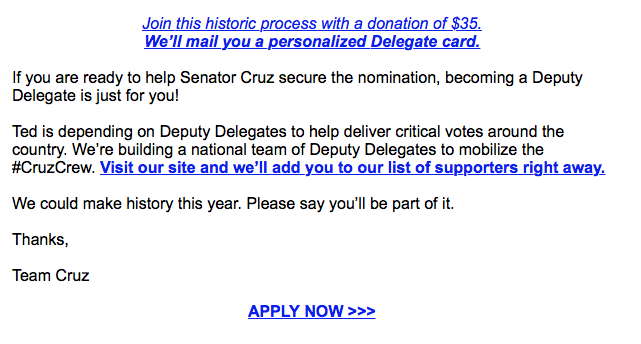 As the hardworking staff noted yesterday, GOP presidential hopeful Ted Cruz (R-Jesus Loves You and I Might Too) has offered to make us a Deputy Delegate to the Republican National Convention in exchange for a modest donation to his campaign. 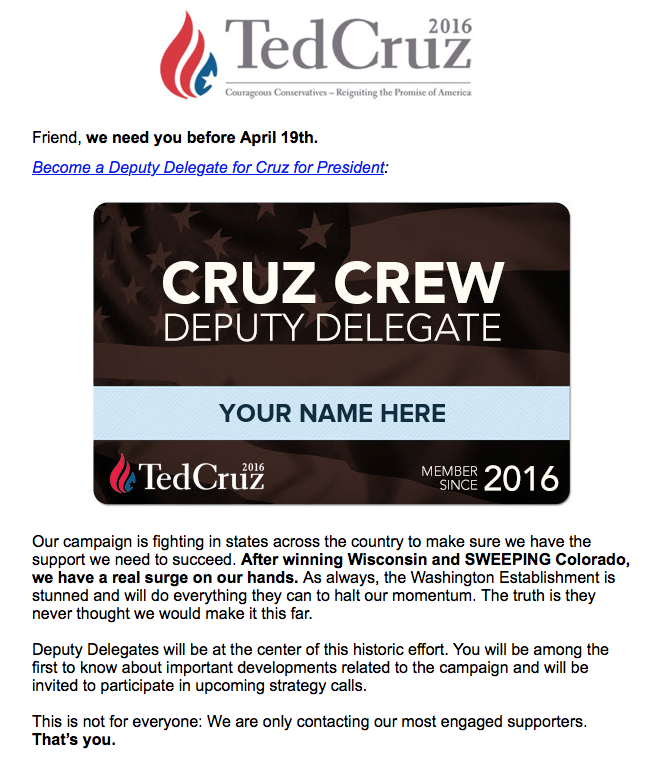 The very fact that Cruz would include the hardworking staff in a “small, select group of my closest supporters” – based entirely on our subscription to The Weekly Standard (whose mailing list, we presume, he purchased) – tells you a lot about the current state of political campaigns and campaign fundraising. Neither of which, we hasten to add, the hardworking staff will be contributing to. Even though we just now got this email. Deputy Delegates will be at the center of this historic effort. You will be among the first to know about important developments related to the campaign and will be invited to participate in upcoming strategy calls. This is not for everyone: We are only contacting our most engaged supporters. That’s you. Actually, it’s not. But thanks for asking. 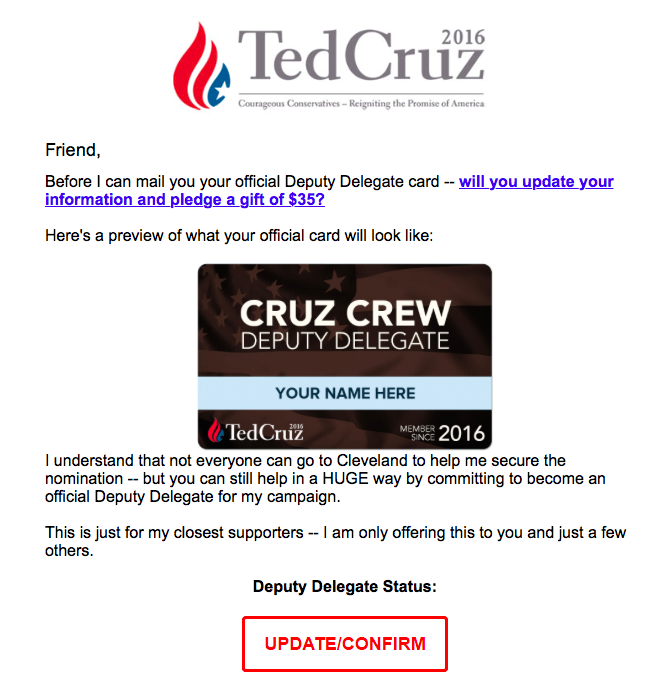 This entry was posted in Uncategorized and tagged #CruzCrew, Cruz Crew, Deputy Delegate, Deputy Delegate Card, Donald Trump, John Kasich, Newsmax, R-Come to Jesus, R-Jesus Loves You and I MIght Too, Republican National Convention, Ted Cruz, The Weekly Standard. Bookmark the permalink.